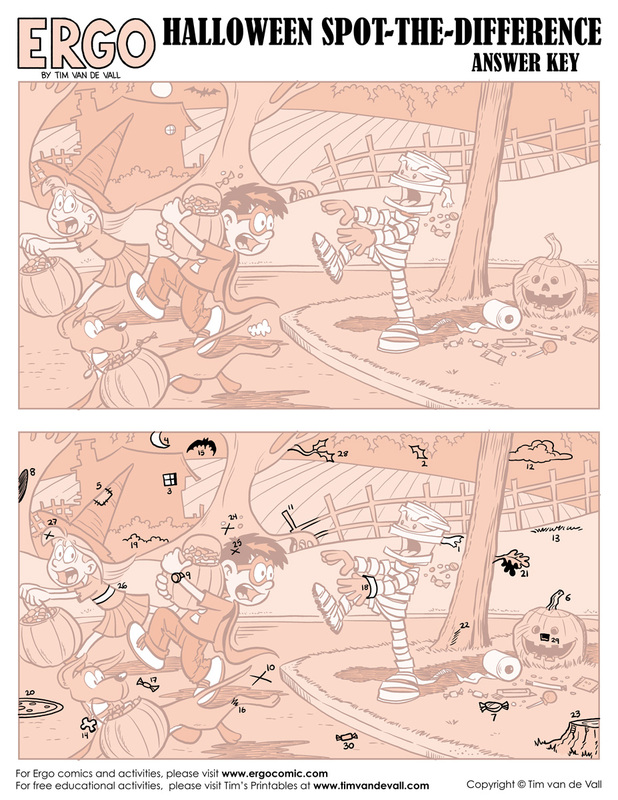 George, Tessa, and McFluff are running to save their Halloween loot from Arrowbot, the candy-crazed mummy. Can you find all 30 differences between the 2 scenes? For answer key click here.